The Commission has today proposed to reshape the rules governing excise duty on alcohol within the EU, paving the way for a better business environment and reduced costs for small alcohol-producing businesses and better protection for consumer health. Today’s announcement means that small and artisan alcohol producers (including, for the first time, small independent cider makers) will have access to a new EU-wide certification system confirming their access to lower rates of duty across the Union. Consumer health will also benefit from a crack-down on the illegal use of tax-free denatured alcohol to make counterfeit drinks. There will also be an increase in the threshold for lower strength beer to which reduced rates may apply. Put in place a uniform certification system, recognisable in all EU countries confirming the status of independent small producers throughout the Union. This will reduce the administrative and compliance costs for small producers who should benefit from reduced excise rates under certain conditions. Ensure a precise and consistent classification of cider across the EU, the current absence of which is a major obstacle for small cider producers who do not have access to the reduced rates afforded to small beer and spirit producers. Clarify the correct manufacturing processes and conditions for denatured alcohol in the EU. Such alcohol is used in the production of goods such as cleaning products, screen wash, perfume and anti-freeze and is exempt from excise duty. This exemption can been exploited by unscrupulous producers who use denatured alcohol to make and sell potentially dangerous counterfeit drinks without paying tax and, even more importantly, endangering consumer health. Today’s proposal will establish a modern system for reporting the misuse of certain alcohol formulations so that they will no longer be usable as denaturants. Update IT systems: the new rules will replace the outdated paper-based procedures used to track movement of certain denatured alcohol and will result in the mandatory use of the Excise Movement and Control System (EMCS). This will make it easier to follow movements of these high-risk products in real time, reducing the fraudulent use of this exemption and protecting consumers. Increase the threshold for lower strength beer that can benefit from reduced rates from 2.8% volume to 3.5% volume, toprovide an incentive for brewers to be innovative and create new products. This should encourage consumers to choose low-strength alcoholic drinks over standard ones, reducing alcohol intake. Today’s proposals also include measures in general excise duty rules to remove barriers for SMEs. This will allow SMEs to use modern IT systems when they wish to do so, and lifts their existing obligation to employ tax representatives. Member States can currently insist that distance sellers of excise goods employ tax representatives, which can make legitimate trade financially unviable. Excise duties are indirect taxes on the sale or use of specific products, such as alcohol and are usually applied as an amount per quantity of the product e.g. per 1,000 litres. All revenues from excise duties go to national budgets and account for around 5-18% of tax revenues or 2 to 5 % of GDP of Member States. EU Member States are free to set national rates as they see fit, provided they respect EU-wide minimum thresholds. Existing EU rules on the harmonisation of the structures of excise duties on alcohol and alcoholic beverages were agreed in 1992 (Directive 92/83/EEC). They set out common definitions of alcoholic products that are subject to the duty and ensure that all Member States treat the same products in the same way. They also specify the method to calculate duty on alcoholic products and the criteria for products to benefit from reduced rates or exemptions. Other legislation in this area, and proposed for recast today (Directive 2008/118/EC) lays down the common provisions which apply to all products subject to excise duties (alcohol, tobacco and energy). 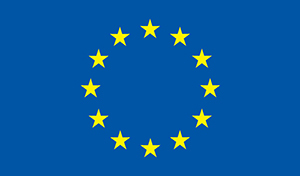 The revision of both Directives is part of the Commission’s REFIT programme. The Council has also asked the Commission to carry out the necessary studies and consultations to submit a proposal for the revision of both Directives. As part of this work, open public consultations were launched in 2017. Respondents noted the added value in a clarification of the current rules and welcomed reductions in administrative and compliance burdens. The legislative proposals will now be submitted to the European Parliament and the European Economic and Social Committee for consultation and to the Council for adoption.